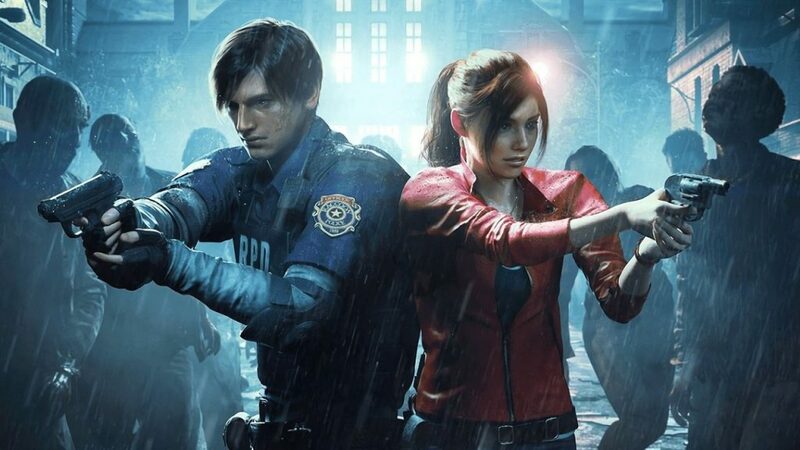 Home » Game Reviews » Is the Resident Evil 2 Remake the Best Resident Evil Game Ever? The Resident Evil 2 remake releases on Friday and positive reviews are already pouring in. What’s got everyone so excited? Reviewers love the game’s overall success as a remake. Don’t miss out on a gaming event that’s been 20 years in the making. Return to Raccoon City on Friday 25th January. 3 Is Resident Evil 2 a Remastering or a New Game? All over the web, reviewers are loving Capcom’s Resident Evil 2 remake. The game currently stands at a stellar 90/100 on Metacritic. It received high marks from many major gaming outlets immediately after the review embargo was lifted on Tuesday. The Guardian gives the remake a perfect 100 – wow! It claims that it’s “the best game in Capcom’s long-running survival horror series and possibly the greatest example of the genre ever”. Eurogamer says that RE2 is “one of the most atmospheric settings ever to grace a survival horror game.” Then Game Informer (who gave the game a 9.5/10) sums it up nicely by saying that RE2 “feels like a new game that pays homage to the original – not a classic with a new coat of paint”. Resident Evil 2 has returned as a beautiful reimagining of the 1998 horror masterpiece. Claire Redfield is an innocent college student stuck in the heart of the zombie outbreak. She joins rookie cop Leon Kennedy in the fight to survive in a zombie-infested Raccoon City. Leon and Claire’s experiences are different so you can play as either character. Most importantly, each one brings unique gameplay, weapons, and even unlockable costumes. New survivor stories are also unlockable after reaching certain achievements. Is Resident Evil 2 a Remastering or a New Game? The Resident Evil 2 remake is what Capcom calls a “reimagining” of the original 1998 release. It’s somewhere between an update and a brand new game. Therefore, it’s what makes this new experience so successful. RE2 feels fresh and new whilst staying true to the terror that helped to define a generation of games. Take a trip back to the golden age of survival horror games… But including modern-day controls and HD graphics. What’s your favorite Resident Evil game so far? Do you think the RE2 remake will be your new favorite?